View this map on the Chicago Tribune web site to see where shooting victims are concentrated in Chicago. Use other maps on this blog to see where poverty is most concentrated, and to create map stories showing the link between high poverty and high violence. Then use the ideas shared on the Tutor/Mentor Institute, LLC site to build strategies that make hope and opportunity more available in each of these neighborhoods. During a Friday Twitter session I met Marc Smith of the Social Media Research Foundation, which has created an open source tool caled NodeXL, which can map Social media conversations. I gave him a list of hashtags, and he produced the map below. If you open the map you can click into an interactive version. Zoom in and you can run your mouse over each node to identify the people who retweeted or commented on one of the above hashtags over the identified time frame. The report included with the map shows key influencers, or hubs, which are people at the center of clusters with numerous other nodes. The report also includes a list of the top 10 influencers. Thus, if you're building your network you might want to follow, or retweet, these people. 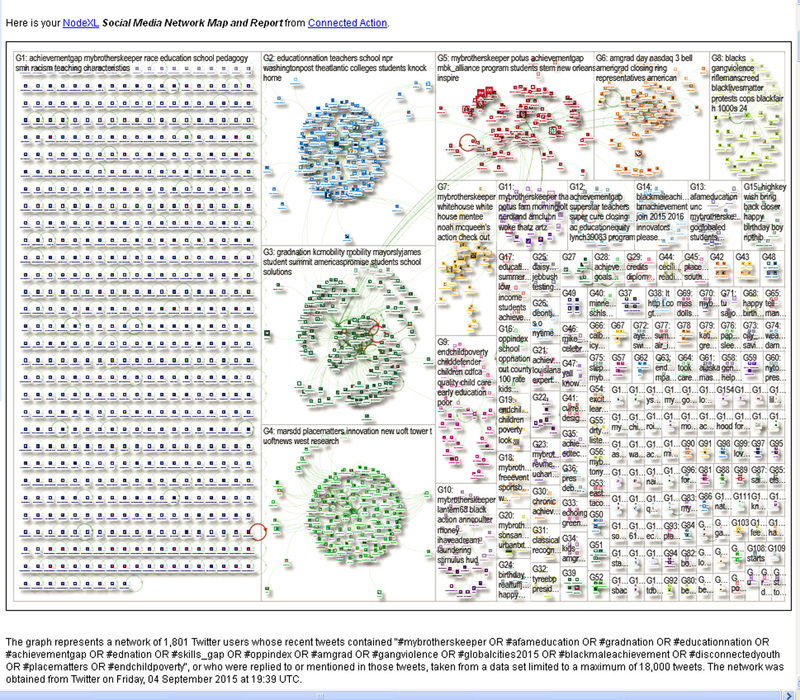 On Sept 7 I requested a second NodeXL map. Here's the link. This map looks at hashtags with #tutor OR #mentor OR #tutormentor OR #mentoring OR #tutoring. I'm still trying to figure out how to make sense of this, and to learn how this can be used to help build and sustain networks of people and organizations focused on solving complex problems, but decided that you could learn along with me if I share the links that Mark shared on Friday. Slides http://bit.ly/1GV8ZHY - this is long. I think the last few slides, showing how this analysis helps you identify people to follow and strategies for building your own network, are of great value. Video http://bit.ly/1FGWq07 The video covers the material in the slides. 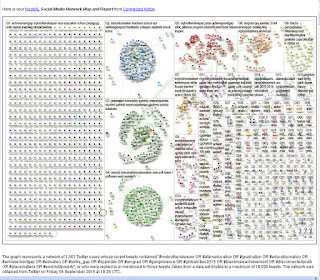 Mapping Twitter Topic Networks (click here) - article on Pew Research Center Site. 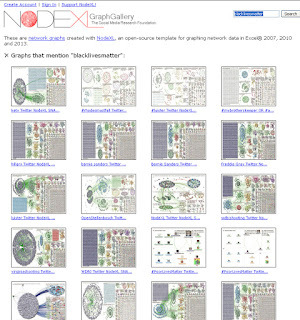 This article offers a great deal of clarity to what you're seeing when you look at one of the NodeXL map. Marc's been creating maps for the #blacklivesmatter hashtag. As you build your understanding of how to interpret and use these maps, you'll find a whole gallery to review. 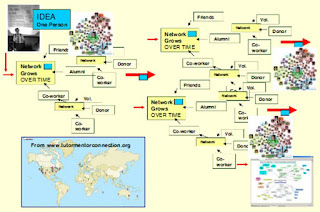 I've been interested in Social Network Analysis (see page) for many years and formed this group in my Tutor/Mentor Connection forum in 2010 to support interns and volunteers aiding me in mapping participation in conferences that I've hosted. Understanding your network is the first step toward building your network, and bringing together communities of people who might share time, talent, ideas and resources to help close the inequality and opportunity gaps in America. Visit the Tutor/Mentor blog and you can find many article I've posted about network building, network analysis and networking. My goal is that the work we're doing will be duplicated by others who organize and host their own events and the result will be more people connecting, and staying connected, to information, each other, and complex problems that require long-term involvement in solutions. It looks like NodeXL and the Social Media Research Foundation offer some exciting support for this effort. If you've written anything showing how to understand and apply NodeXL please share with a comment below. I'd like to build up a collection of links that can be referred to by others on an on-going basis. As I collect additional articles I'll add them to the comment section below so this becomes a long-term reference document. 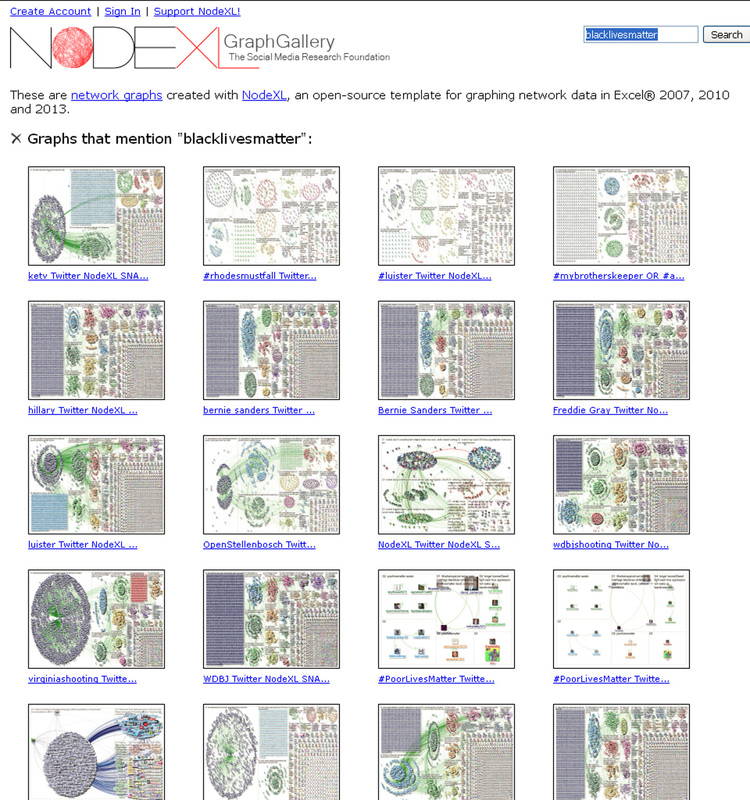 If you'd like to request a NodeXL maps from Marc, use this page to submit your request.